Finding milkweed in my community. 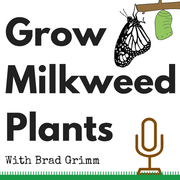 Outdoor Hands-On Search for Native Milkweed Species Growing in my Community.I went to my local garden center seeking milkweed seed's or plants today. They had no milkweed for sale but they did know a local trail that is know for having milkweed. They called it the ditch trail and said it is near Patagonia. My excitement level went thru the roof to hear Patagonia was closer than I expected. Unfortunately it is a Patagonia Outlet Store they were directing me to and not a diverse secluded region in Southern South America. The ditch trail sounds like the exact place that I would expect to hear about native milkweed growing naturally. So I am packing up for my 9-5 job (actually 3:30-00:00) a bit early to set out in hopes of discovering local milkweed plants growing in my community. Success on my first walk today. I found part of what I was expecting!I parked at Mayberry Park and walked directly to the Truckee Rivers edge. Once I began to look at all the plants growing there I became a bit overwhelmed with the diversity of plants. There are so many plants growing by the river. Showy Milkweed and Mexican Whorled Milkweed is what I was expecting to find. And Showy Milkweed is what I found! Confused by Dogbane.The first Milkweed plants I found were so abundant that I was in slight disbelief that they were there. It was Dogbane and not Milkweed! It was growing in Droves. I saw two butterflies fluttering thru their vertical stalks. I thought 'they must be milkweed'. It was milkweed paradise. Or was I just confused by a milkweed look-a-like? I collected a few dried seed pods and went about on my way down the path looking for more. With much luck I stumbled right across milkweed a short distance away. Growing in a slightly different area of loose grass I found another type of milkweed. The Showy Milkweed was in thick clumps a few yards from the rivers edge. In full sun I could there was very young Showy Milkweed growing in between the older, more established plants. It seemed to be very healthy. A few beetles were devouring one of its leaves. Don't try this at home.Having not seen any milkweed recently I was not positive it was milkweed. I had read that the sap is milky white and has a bitter taste along with mild toxicity. So I had to check for these traits. I took a small bite.From a small leaf tip I could see the milky white sap oozing out. I nibbled on it like a lettuce leaf. The bitterness was very mild. The leaves are very fluffy and light. I couldn't wait to get back to my car where I had fresh water. I discourage eating milkweed. Leave that for the butterflies! The first groves that I thought were milkweed turned out to be Dogbane or Hemp Dogbane. It had many similarities to milkweed. First there were the milky white sap when I tore off a leaf. There were the butterflies that I saw. But it didn't all add up to milkweed. The seeds I collected were thin and rounded. Milkweed is known for having pancaked tear shaped seeds.